Revolutionizing Tourism with a Decentralized P2P Solution on Blockchain! 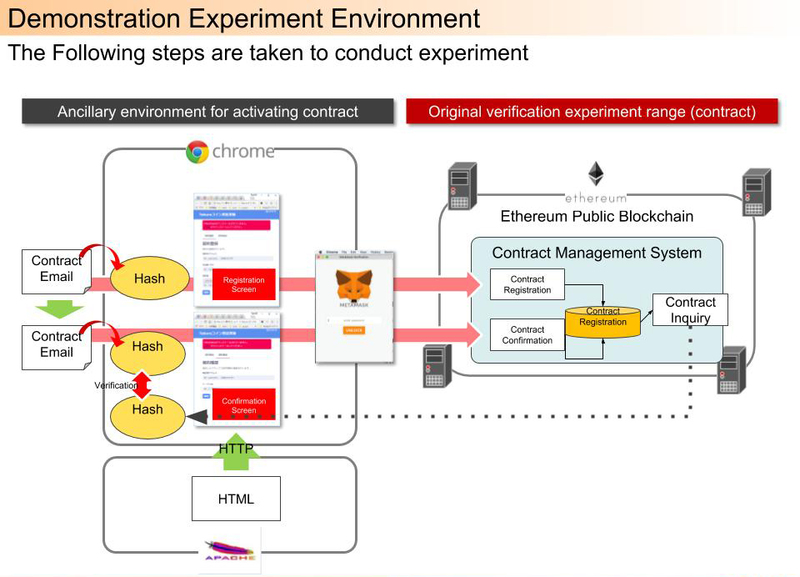 Samepage Company ltd. (Chiyoda-ku, Tokyo; Managing Director: Akihiro Takagi) is an affiliate of Shogawa-ku, Tokyo (President: Shinagawa-ku, Tokyo; President: Kato Toshio) conducted a demonstrate experiment to record participants contracts on blockchain (decentralized ledger technology) for ICO. Contract Management is often neglected because of flow of coin and carry out development function which are concurrent with acquisition of investment in ICO. On the other hand, it is important to record accurate contract details at the time of handling investment and dealing with items where price of virtual currency is fluctuating. By recording the information of the contract on blockchain, it is possible to have the same credibility as the currency issued and it is also possible to automate the process based on the presence or absence of the contract. 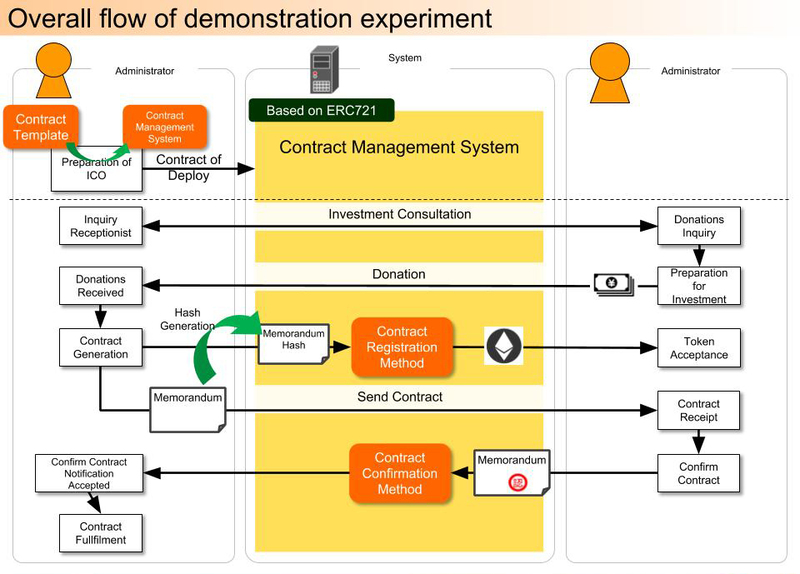 Contract management system… was used to record contract details done with partners (supporters) and members who were located in remote areas on blockchain. The Luggage Free Travel Association prepares a contract with each purchaser of tokens (vouchers), where we recorded the series of procedure on blockchain that we confirmed in our demonstrate experiment just like first register the hash value in contract management system, send the contract to the token purchaser, confirm the request of token purchaser. “Contract management system…” is the contract template that records the contract created by the manager (coin issuer) based on the “Contract management system…” for each deployed ICO. The administrator and the token buyer prepare a contract related to purchase of token and issue NFT (Non-Fungible Token), which record the hash value of the contract file. The buyer of token can write a confirmation signature on the NFT (Non-Fungible Token) where the hash value of the contract is recorded. 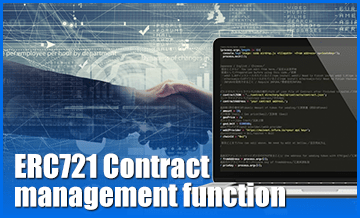 Though the hash value of the contract document recorded in NFT, the signature of confirmation saved permanently, by referring the information other contract can be verified by using the signature with the correct contractor and it is also possible to implement the functions at the time of issuance of coin. The Luggage Free Travel Association develop a luggage storage service named as “Tebura”. As a next step, Tebura is constructing the “Tebura Network”, which encourage participants and travel industry to contribute and engage local people to create a virtuous circle of revitalization in order to improve the environment of travel industry. We are using blockchain technology to construct this. We are raising fund through ICO and developing currency “NC (Ninja Coin)” with an aim of bringing “Tebura Network” to revitalize regional economy and generate economic benefits. Blockchain technology development company which is a partner of Tebura. A leading crowd sourcing company proposing a new way of working for individuals as a substitute of Cloud Works (TSE Mothers 3900). Introduce a leading technology through blockchain’s campaign that has the potentiality to revolutionize society from grounding up. Kee presents new way of collaboration to the society.